The martial arts world is rife with tales of ancient masters who could cause instant or delayed death or illness by attacking secret points on the human body. But to the Western mind, the concept of striking acupuncture points to disrupt the internal energy, or chi, seems like hocus-pocus. Thus, many serious martial artists dismiss the ancient art of dim-mak (also known as kyusho jitsu), which is literally translated as "death touch," as nothing more than fiction. However, if one can accept the idea that a dim-mak point is an avenue for attacking the nervous system, then it becomes easier to understand how striking specific points or groups of points can devastate the organs and the cardiovascular system. 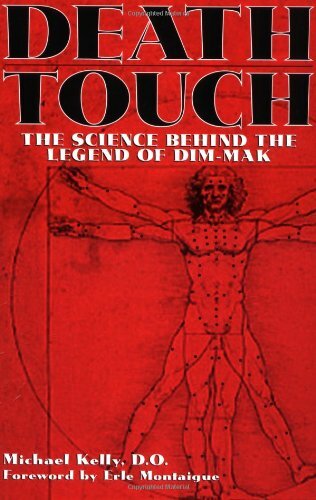 In this book, Dr. Michael Kelly, an osteopathic physician and experienced dim-mak practitioner, explains dim-mak's effects based on medical science. In layman's terms, Dr. Kelly reveals the physiological basis for what is clearly a very real and dangerous method of fighting. In the process of unraveling the mystery of this legendary art, Dr. Kelly makes the true genius of its founders brutally, and painfully, apparent. As an osteopathic physician and a former state police officer, Michael Kelly has had multiple opportunities to test his martial art skills and his knowledge of dim-mak. Dr. Kelly has trained in Okinawan shorin-ryu karate for more than 15 years and is a second-degree black belt. He has been investigating the effects of dim-mak on the body as well as the pressure point attacks hidden within the traditional forms for the past 10 years and has published numerous articles on the medical aspects of dim-mak.